The GUI allows each user to use up to 4 SIP communication devices, including mobile phones. To associate a SIP device with GUI, the SIP device must be configured with user details (e.g. username, password and extension number).  Furthermore, to link a mobile phone to the GUI, the mobile number of the user must be entered in the user profile on the PBX server – only then is it displayed on the GUI as a connected device. This icon represents the mobile phone associated with GUI. This icon shows that the phone device (e.g. SIP phone / mobile IP or analog adapter) is connected with GUI. This icon indicates that GUI is connected with headset. The user must specify the default device which will be used for outgoing calls. The user can select the desired device from the available devices by clicking on the device. You can also see information (description, or user agents, device IP address and mobile number if any) about available devices by hovering the mouse over these. By default, all available devices associated with the user will ring for incoming calls except for the mobile phone which can also be enabled or disabled by changing the settings for the type of incoming calls. As soon as the user responds with any device, all the other devices stop ringing. You can switch the call from one device to another device in an active call by clicking on switch icon gui commuta disp and selecting the desired device. Once the device is selected for switching then PBX will send the call to the selected device (device will be ringing). Once the call has been answered it will automatically be passed to the selected device. VOIspeed 6 has introduced a unique and innovative way of managing communication devices. You will always be alerted to the arrival of the second call by a series of beeps, regardless of the communication device you are using (including mobile). i.e. If you are busy on the phone, then you will hear this beep signal when second call arrives. The arrival of the second call is displayed in the GUI with the appearance of a new frame in a ringing state (orange). You can ignore the call by clicking on the ignore icon or you can answer the call via communication devices (e.g. 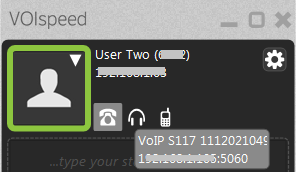 SIP phone, headset) connected to GUI .To answer the second call you need to put the first call on hold. Note: The second call function will only be active if the GUI is running; otherwise the second call will be handled according to the device connected.